Part of the illustrious tourmaline family, rubellite is a particularly vivid and beautiful gemstone - its colour jumps out in the most beautiful nuances, ranging from red to shocking pink. The name rubellite comes from the Latin word 'rubellus', meaning 'reddish'. 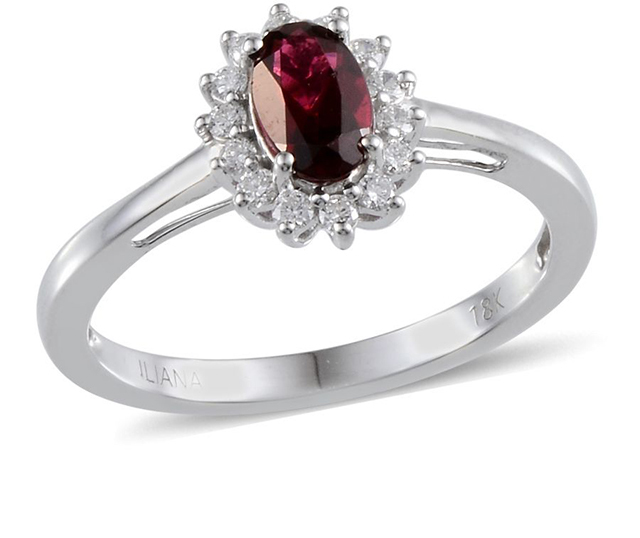 It is also a variation of the term 'ruby' since it displays a similar fiery red. As a form of tourmaline, rubellite is a crystal boron silicate mineral, classified as a semi-precious stone. Since tourmalines come in such a wide range of colours, each individual variety does not normally tend to have its own name. While there is a wealth of different coloured gems in the tourmaline family, rubellite is arguably one of the most exquisite stones of this group. Its colour ranges from vivid, shocking pink through to a captivating violet - this gives the jewel its vibrant hues of red, and means that no two stones have the exact same shade. Rubellite has such a vividly warm colour that it cannot fail to dazzle when worn. And since each gem is unique in the red hue it displays, these gorgeous minerals have an exclusive opulence and shine that makes them irresistible. The hardness level of rubellite is 7 to 7.5 on the Mohs scale, so it is a durable stone which is hardier than many other types of gemstone. Nevertheless, inferior varieties can be weaker in strength as they will tend to have many inclusions which degrade their structure. While specimens with a few fine inclusions are considered acceptable and valuable, try not to choose one that has many inclusions which are clearly visible. Rubellite which appears completely free of inclusions (to the naked eye) is extremely rare, so if you see such a jewel it is more likely to be a radiated pink tourmaline or a rhodolite garnet.